This was not the only outside intervention. The Socialist International, in a rather rare move, also strongly supported the Agreement, in spite of the objections of its Greek section and of the fact that this Agreement is officially not supported by a majority of Greek Deputies! 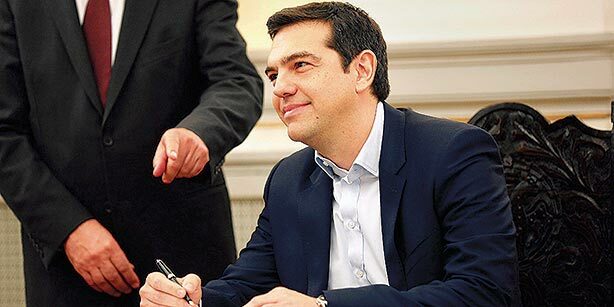 Tsipras and Kotzias did not have any legitimacy to sign it. We will further explain in this article why we believe the Agreement signed, but not yet ratified, is a bad one from the perspective of bringing peace and reconciliation between the Greeks (Macedonian or not) and Macedonian Slavs in the Balkans. This Agreement will not end the dispute between the two neighboring nations, Greeks and Slavs of Macedonia. It is not the product of a genuine reconciliation between the two sides but rather of outside, backstage intervention by the US against the will of both. By the way, the US Envoy in Athens is the same man who was serving, before being sent to Greece, in Kiev, Ukraine. How many Ukrainian-type crises does Berlin need? We know that most Western media are supporting this Agreement and hail it as a historic one. But most western media also favored destroying Yugoslavia and bombing the Serbs. Let us also not forget how they recently treated Greece, and what they wrote about weapons of mass destruction in Iraq, and how they contributed to the destruction of Libya etc.etc. Western media have systematically distorted reality and they have contributed in policies which have led to nothing else than to the transformation of the Balkans and of a large part of Middle East and Africa into a land of ruins. There was not a single western intervention, during the last decades, be it in the Balkans, the former USSR, the Middle East or Africa, which didn’t produce absolutely catastrophic results. USA and European pressure on Greece and FYROM to sign a bad agreement which both societies do not like and reject will also have the same catastrophic consequences. Many people in Western and Central Europe, where nationalism was invented and where two catastrophic world wars begun, presume and dare give lessons to the smaller nations of the European periphery. They have opinions on how to solve the problems of the Balkans, but we did not hear them making much noise when France, Britain and NATO, for instance, attacked and destroyed Libya. Now they’ve ended up supporting slave trade there in order to stop more refugees from coming to Europe! They are treating Greeks and Macedonian Slavs who are protesting against the Agreement as “primitive nationalists”, instead of trying to understand their motivation and their reasons for protesting. The main question in the Balkans is not the dispute between Greece and FYROM. Nobody cared about this dispute and this did not create any problem for the bilateral relations, until Washington decided that it needed FYROM in NATO and the EU and it needed it now. By defending their national ideologies, myths, and identities, even if sometimes they do so in primitive terms, the Balkan nations try to defend themselves against the “bright future” they fear is in store for them in the context of the European Union, of NATO and of Globalization. No Greek wants to invade FYROM and the same is true about Macedonian Slavs. They don’t invoke their nationalist sentiments -when they do so- in order to fight between themselves, but because they call upon them to defend themselves, defend whatever is left of their states and their nations, against Western, American and European Neo-Colonialism. One million people have been forced to emigrate from the tiny state of FYROM. Greece, one of the oldest members of the EU has been transformed, by the policies of Mrs. Merkel, Mr. Yuncker, Mrs. Lagarde, into a kind of slave economy and society. First, it must be acceptable to both sides. Second, in order to be viable, it has to be just and not be at odds with national and historical reality. 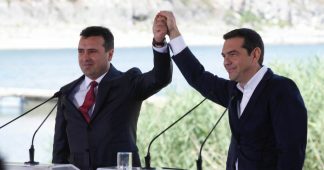 The agreement signed in Prespes by Greece and FYROM does not fulfill either of these two conditions. For example 73% of Greeks and the majority of Greek deputies (!!!) reject it and it is only through a political coup d’ etat that Tsipras and Kotzias, acting on behalf of the US and NATO, signed it. Macedonia in modern times was a multinational region where different national and nationalistic projects have collided and have led to armed conflict twice in the beginning of the 20th century. Among them, the Greek national project, the “greater Bulgaria” project and the project of “one, independent and united Macedonia for Macedonians”, which is used as the ideological foundation of nowadays FYROM. Underlying, there is the false claim that the “Macedonian” nationality is the legitimate people of Macedonia and the other nations inhabiting also in Macedonia are a sort of colonizers. As a result of those wars, the region was divided between Greece, what is now FYROM, Bulgaria and a small part going to Albania. Sometimes people ask me why are Greeks reacting to the name Macedonia. I answer to them they do it for the same reason that Portugal would not accept if Spain decided to be called the Kingdom of Spain and Portugal. Macedonians Slavs have the right to self-determination and they are free to be called like they themselves want, up to the point they choose a name implying territorial claims to other parts of Macedonia. Macedonia belongs not only to Macedonian Slavs, who are calling themselves Macedonians, but to all nationalities which live there and to the three or even four states exercising sovereignty in parts of the region. But there is even a deeper reason for the Greek reaction. The Greeks have witnessed and cannot forget the dismemberment of Yugoslavia, a direct result of Germany, Austria and the Vatican supporting, in the name of the right of self-determination, revisionist pro-Western nationalisms against Serbian pro-Russian nationalism, a principle which these same countries deny for instance for Crimea and in many other cases. Greeks therefore had good reason to fear that their turn would come next. They were right. Their turn came soon after Yugoslavia, but this happened through a debt and communication war which may not have taken the form of a military campaign but destroyed their country nevertheless. Instead of solving these problems, the Agreement signed will certainly aggravate them and will create more confusion, thus laying the base for new disputes. It names FYROM as Northern Macedonia, but at the same time terms its citizens as “Macedonians” and their language as “Macedonian”. It thus lays the foundation for future conflict as the part implicitly lays claims for the whole. The problem surfaced even during the signature meeting, with PM Zaev calling his nation Macedonian and not Northern Macedonian in conformity with the wording of the Agreement. The idea of reconciling Greeks and Macedonian Slavs is very good, but the Agreement is very bad and the idea of imposing a solution to the two countries from outside extremely dangerous. Maybe the German Government should concentrate on solving German problems instead of trying to tell to the Balkan nations what to do. “Why?” the rather shocked Greek politician asked him. Greeks and Serbs mounted the strongest opposition to the Nazi occupation of Europe. Greeks resisted the Axis offensive for 242 days, followed by Norway and France, which resisted the Axis for 65 and 42 days respectively. The Greeks subsequently developed by far the largest resistance movement proportionally to the population of the country in all of Europe. I think Germans should be grateful to the Greeks for their contribution to the victory over Nazism. Maybe they would be “victorious” if Hitler had won, but how would a normal person like to live in such a Europe? I don’t know if German offensives against Yugoslavia and Greece are mere coincidence. What I do know is that it is shameful for Germans that they let their governments destroy twice in a century Greece and Serbia. Undoubtedly Berlin, which is now putting public pressure on political parties in Greece and FYROM to support this Agreement, knows very well that it reflects the will of only a minority of the Greek Parliament and is opposed by 73% of the Greek population. It also knows that it was signed for one and only one reason, namely tο satisfy US pressure and advance military planning against Russia. It also knows that it doesn’t forebode any genuine reconciliation between the two nations, quite the contrary. What is the strategy of Berlin in the Balkans? Is it to help the United States promote their agenda? In any case this has been the final result of all German interventions up to now. In 1990, nobody needed the US in the Balkans. All nations of the region were looking to Europe at that time, while keeping strong energy and cultural ties with Russia. What is the situation today? The US is the dominant power in the Balkans, the region is transformed into a gigantic military base against Russia and Europeans are obeying Americans. By the way, I wonder if Mrs. Merkel would accept for her country an agreement which is opposed by the majority of the population and of the Parliament. Would Mrs. Merkel accept a foreign country dictating to Germans what to do, as she is now trying to do with Greeks and with Macedonian Slavs? Did Mrs. Merkel ever read a book of History? 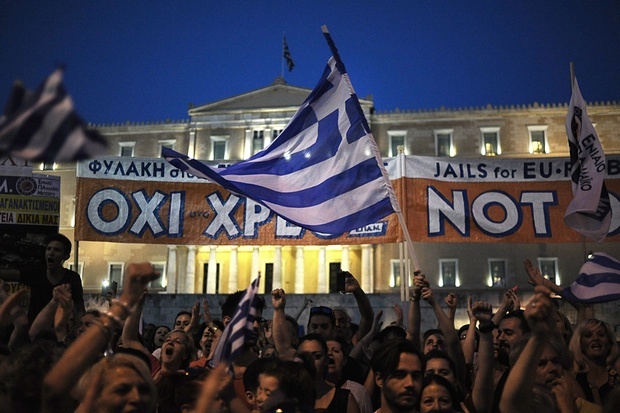 Germany has the power to squeeze Greece and has already done so for eight years. It doesn’t have the power to avoid the consequences of its policies, the political and strategic fallout, as it didn’t have the power to avoid the military fall out of a similar policy, albeit pursued with other means, which Berlin followed by launching the 2nd World War. Germans destroyed Greece and subjugated all of Europe then, only to be subsequently destroyed themselves and provide the Americans with the keys to dominate Europe ever since. This is exactly what they are repeating today. Does an agreement which is rejected by both nations, Greeks and Macedonian Slavs, have any chance of contributing in the stabilization of the situation in the Balkans? Or will it provoke a new crisis which, in all likelihood, is already under way? Germany maintains that it will resist the hostile US policy towards Europe by uniting the latter. How will it do that? 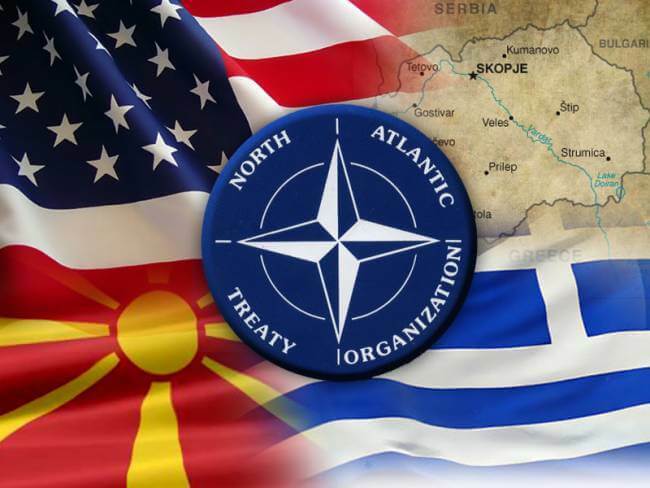 By increasing US-NATO pressure on Greece and FYROM? By allowing Washington to directly subjugate the Balkans? By destroying European periphery? All that did happen as a result of German, US and NATO interventions. Is Mrs. Merkel so satisfied by all that and eager to continue in the same line? Does she not see any reason for a thorough review and correction of German policies? How does Mrs. Merkel plan to face the pressure from Washington and the crisis in Europe itself? By helping aggravate relations between Europe and Russia? By incorporating the Western Balkans in the EU, without any preconditions for such an enlargement and against the will of the European peoples, possibly even the Germans themselves? What united Europe? 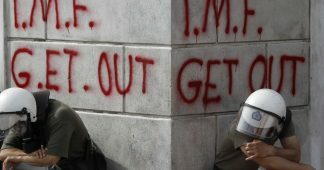 Greece, a member of the EU, is now in total ruins, after the implementation of a program supposed to help it! Mr. Regling says that it will have to apply Troika rules for 69 years. The “clean exit” of Greece from the program that Mr. Yuncker, Mr. Moscovici, the Commission and European governments are saying will happen is an enormous deception. Does Mrs. Merkel think the other Europeans don’t see all that? Or that they don’t understand what is happening? The European Union has already lost Britain and Berlin’s policy towards Greece has greatly influenced British perceptions of the Union and has been an instrumental factor for Brexit. Germany’s European and international political capital is now at its lowest point since WWII. Mrs. Merkel seems to be satisfied by Alexis Tsipras’s subservience. She is mistaken to confuse a dead body she contributed into transforming the Greek PM with the Greek people. She doesn’t seem to understand that even if she manages to completely destroy Greece, she won’t be able to destroy the memory and the consequences of such a Crime. 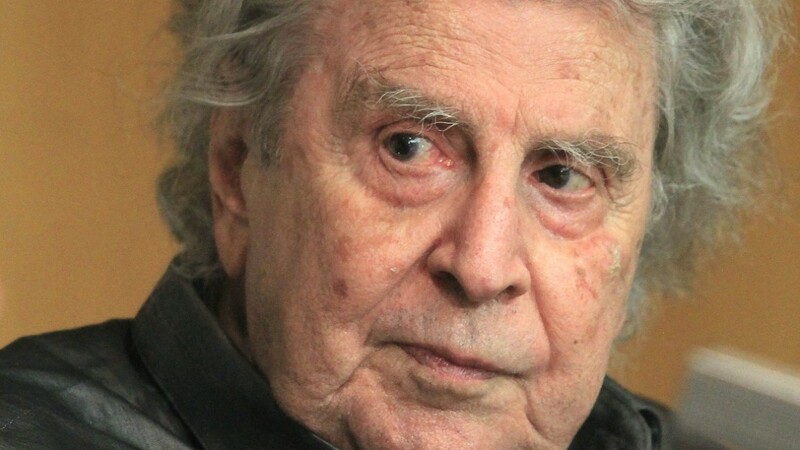 People like Chancellor Helmut Schmitt or the writer Gunder Grass have warned their fellow compatriots about those dangers, but their warnings have fallen onto deaf ears. It seems that European, in particular German, political elites are now more detached from reality as Marie Antoinette had ever been. Or more controlled by Banks and Finance.